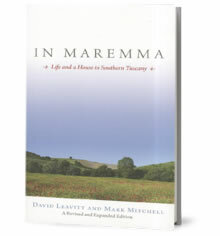 Now with illustrations and photographs, this new edition of In Maremma recounts the restoration of a dilapidated 1950s farmhouse in southern Tuscany and the process by which the authors became initiated into a part of Italian life foreigners rarely see. The pleasures of the olive harvest and picking wild asparagus are juxtaposed with the vagaries of political corruption and self-perpetuating bureaucracy. Landscape and weather provide the stuff of reverie, as do the benefits of boredom and the longing for peanut butter. A celebration and exploration of a little-known part of Italy, In Maremma provides a fond, if sometimes critical, corrective to other more rapturous portrayals of Tuscany.